Breakfast in the rooftop cafe at the hotel. The skies to the north were dark and threatening, to the south clear. Thankfully, we were heading south along the Amalfi coast, a part of the trip I was especially looking forward to. We could see from our breakfast perch that the traffic didn’t seem so bad. Unfortunately, I don’t have any pictures on my phone of the coast. You’ll have to trust me that it is every bit as spectacular as the photos you’ve seen. We rode the singular roadway the connects the towns along the coastline. The view was great, the riding even better. Sure, there are non-stop tour buses coming around corners into your lane and a mix of Audi’s going fast and Fiat’s going slow but it was great. 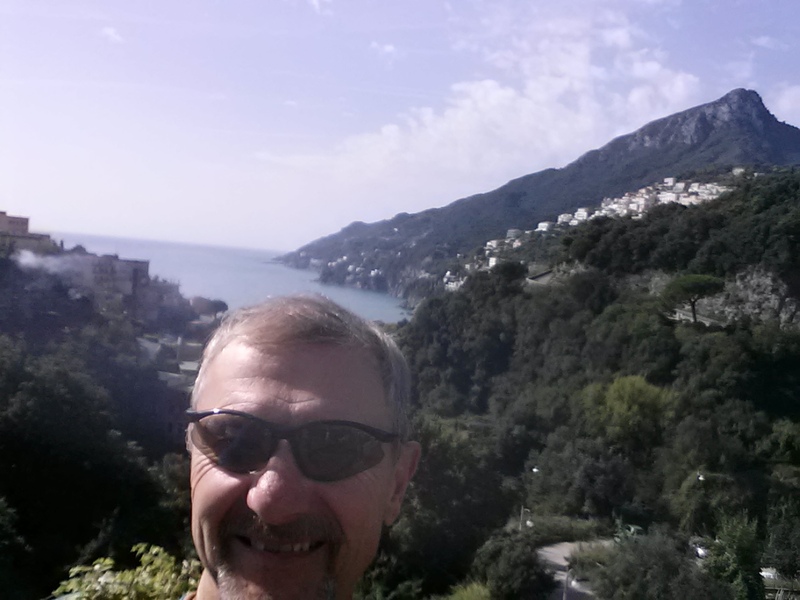 We stopped for lunch in a little town short of Amalfi. 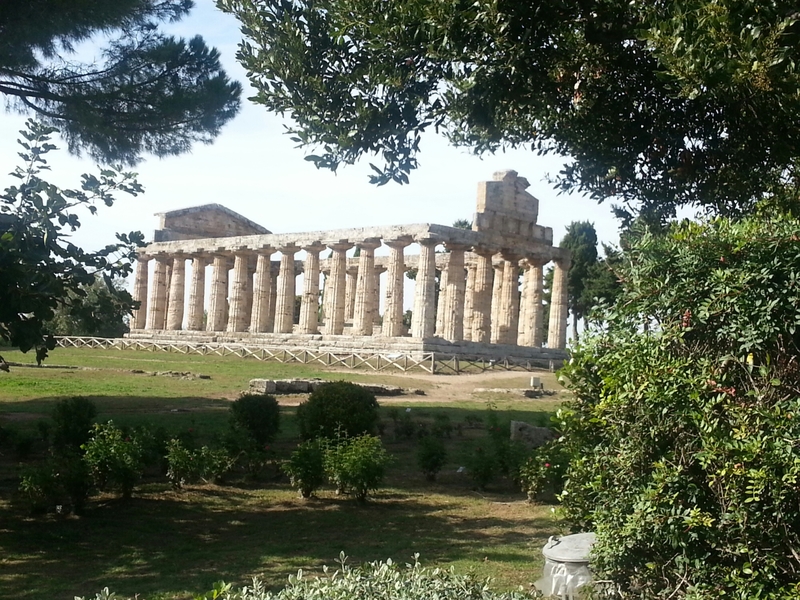 All good things come to an end and we left the coastline, heading for a town with ruins, Paestum. 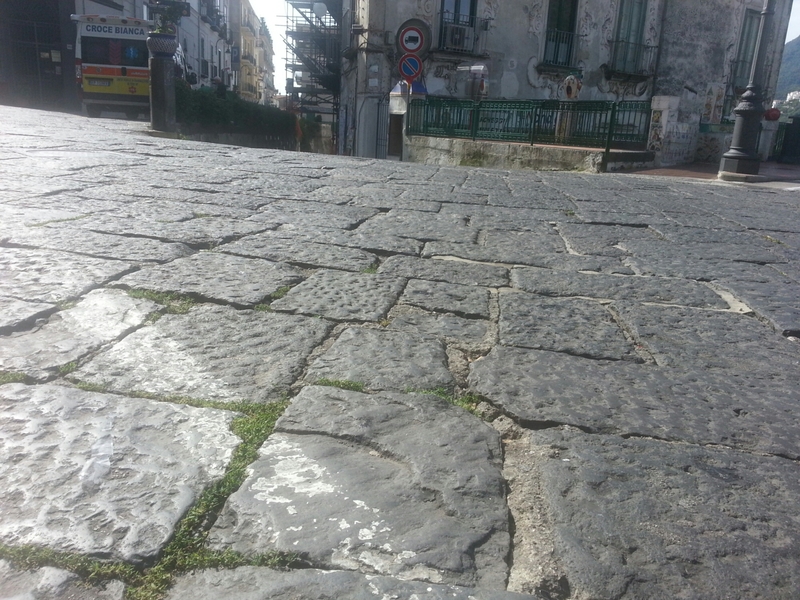 The city has a long history from Greeks to Lucans and was abandoned/forgotten for centuries. This is one of two temples. It was warm (28) and sunny so we elected not to walk the grounds. Our coast riding fine, we headed for the mountains. Our destination was Benevento. We arrived before sunset, yay, had dinner in town and called it a night. Storms are moving in, we’ll probably be leaving in the rain tomorrow, but it looks like it will clear up as we make our way north. Let’s hope so.